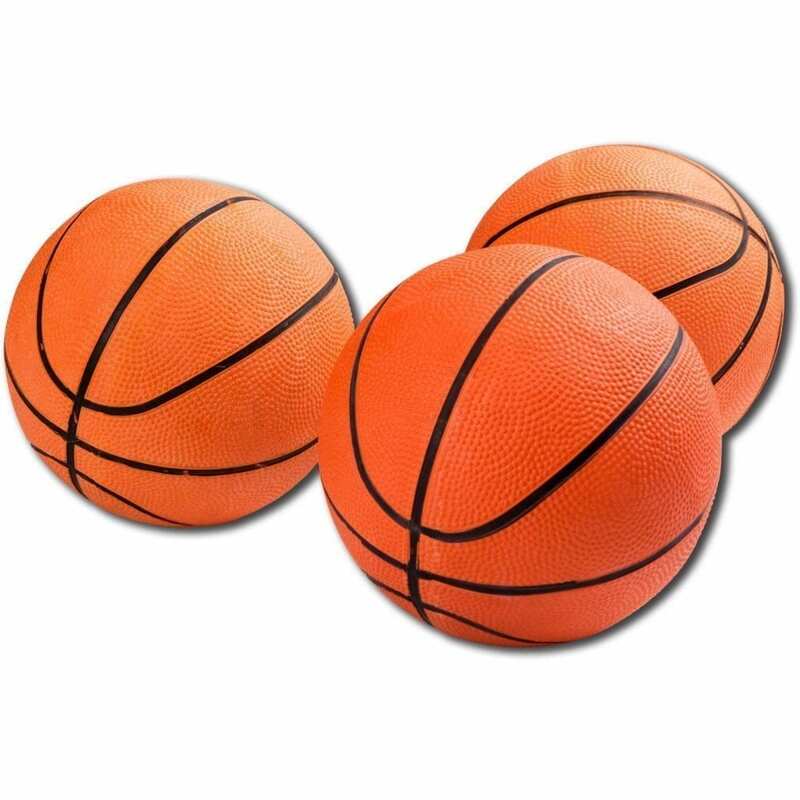 Our Hoop Shot Basketball Inflatable Game is a classic game that is fun for ages 8 and up. Play this game “just 4 fun” or as a competition with friends, either way, children and adults alike enjoy this fun sports themed game. Great for basketball season parties, birthday parties and carnival events. As an inflatable, this game is installed by our delivery team. To install this unit, simply provide a semi flat, open grass or concrete area with access to power (or generator). Furthermore, we recommend allowing several feet in front of the inflatable so guests can play the game with ease and lots of space to take aim. This unit easily installs on a driveway, lawn or inside a garage. Inflatables offer incredible fun for your party! 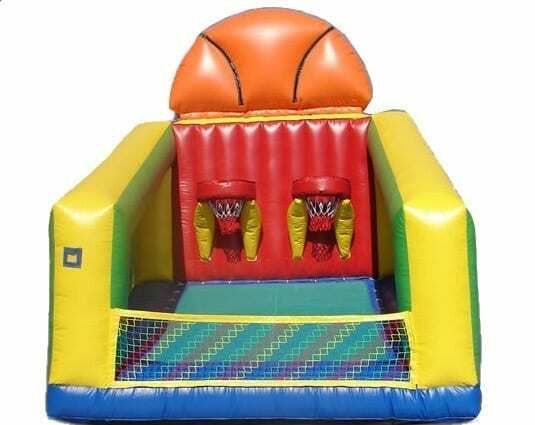 We rent a wide variety of inflatables including: Jumpers, Bounce Houses, Bouncy Castles, Super-Hero Jumpers and Jumpers with Slides. Check out our selection of Inflatables here. We also rent: Carnival Games, Midway Games, Entertainment Equipment and Gaming Centers. 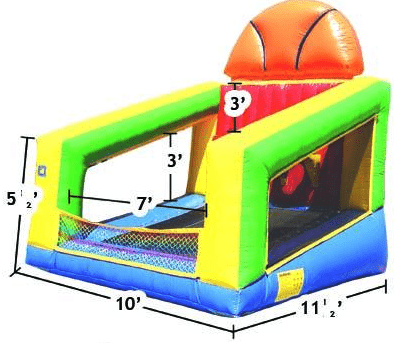 Rent any jumper as an add on item to a larger party rental order or in a package for corporate events, school events, birthdays, and family fun. Other popular game rentals include: Corn Hole, Dunk Bucket, Mini-Golf, Foos Ball and Ping Pong. We also carry a wide variety of hand-crafted carnival games for all ages. Check out our Carnival Games here. We got you covered with Raffle Tickets too. If you are looking for delicious carnival or concessions snacks to add to your special event then check out our: Nacho Machine, Popcorn Machine, Sno-Cone Machine, Churro & Pizza Warmer and our Cotton Candy Machine. What is better than the smell of popcorn wafting through the air or a son-cone on a hot summer day? Maybe a box of nachos.